There has been an increase in Child Sexual Abuse Material traced to servers in Ireland according to the annual report of the Hotline.ie service, which was launched this morning by the Internet Service Providers Association of Ireland (ISPAI). The report covers the period from January to December 2013, during which 7 cases of Child Sexual Abuse Material (CASM) were identified in Ireland. Just 11 cases were confirmed between 2009 and 2012 and none before that. 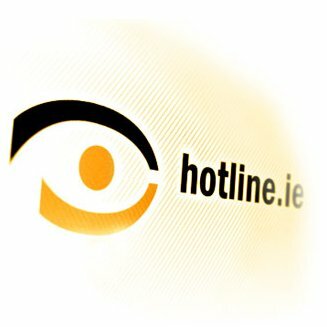 Hotline.ie was established in 1999. The report was launched in Dublin at an event titled “Zero Tolerance to Child Sexual Abuse Online”, organised by the ISPAI. 5 out of the 7 cases of Child Sexual Abuse Material traced to Ireland in 2013 were Cloud related. These cases of abuse affected one operator’s cloud servers here which are managed from the USA. While the US operator is not a member of ISPAI, Hotline.ie reported the case to the Gardaí and succeeded, in cooperation with Law Enforcement Agencies, in haveing the content removed from the Internet. The growth in cloud services is contributing to the complexity of the situation, and highlighting the importance for services such as Hotline of cooperating internationally. Hotline.ie is a founding member of INHOPE, the International Association of Internet Hotlines which provides a network of Internet Hotlines which cooperate to swiftly exchange reports to have CSAM removed from the Internet. Throughout 2013 Hotline.ie assessed as CSAM, under Irish Law, 128 Cases which were traced and forwarded to the appropriate jurisdiction for action. The top 3 countries to which Hotline.ie forwarded CSAM reports for action and investigation were USA (48), The Netherlands (18) and Russia (16). “paedophiles are constantly trying to find new ways to avoid detection. We are concerned that peer-to-peer services are increasingly being abused and I would like to use the opportunity to appeal to those using these services in a legitimate way to report, using the anonymous Hotline.ie Service, if they encounter filenames suggesting or referring to images / videos of Child Sexual Abuse Material”. Today’s event was also attended by Russell Chadwick, Executive Director at INHOPE, who gave a presentation on International Cooperation between Internet Hotlines in combating CSAM, and Oisin Byrne, Managing Director at iReach Market Research, who presented the key findings of a nationwide public survey concerning Parental Attitudes to Children Online. The Hotline.ie 2013 Annual Report – An Analysis of Reported Illegal Content on the Internet – is available online at hotline.ie/2013.